I also will be happy to book other All-Inclusive Vacations, Destination Weddings, Cruises, Group Travel. I have a long list of suppliers for all of your travel needs. You can be assured that using me to book your vacation, I'll search to find you the best possible deal within your budget. Do keep in mind that it does not cost you any extra to use a Travel Agent. 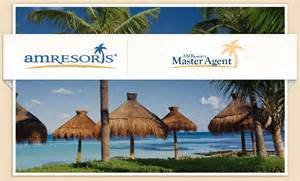 While many agents charge fees, I would not think of charging a fee for quoting or booking your all-inclusive package. My profit comes strictly from commission. You'll actually get more value for your dollar as I will be your advocate 24/7 in case you encounter any problems on your travels. I dedicate my time to help to make your vacation planning much less stressful..